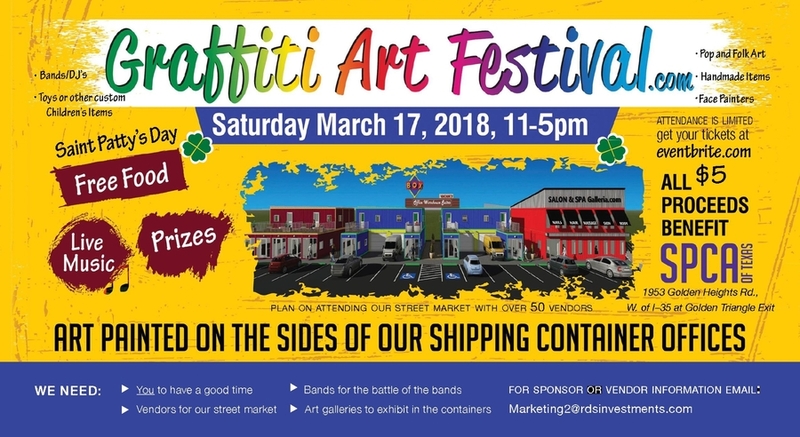 FORT WORTH, TX, February 07, 2018 /24-7PressRelease/ — Move over, Rembrandt, there’s a different art form that is adorning town and it’s nothing other than graffiti and street art! And it will be on display this St. Patrick’s Day at Box Office Warehouse Suites, the newest, and funkiest, business park venture by local entrepreneur Ron Sturgeon. Sturgeon (recently featured on CNBC’s Blue-Collar Millionaire) wants everyone to embrace the funk! 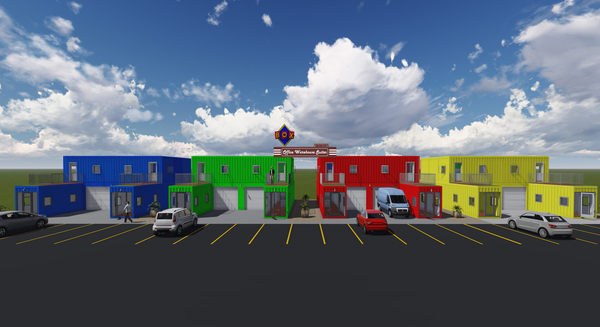 “We decided to do something completely unique with our new business park, something never before seen in Fort Worth, an Eco-friendly, inexpensive collection of office suites for small businesses made entirely from shipping containers, and then we decided we might as well go all the way and invite some street art/graffiti artists in to make our park totally in touch with the modern scene,” Sturgeon says. The Graffiti and Street Art Festival will, for sure, be unique. All proceeds go to SPCA of Texas, and there will be a mobile adoption vehicle on site for those interested in adopting a furry friend. Local actors will be there from Hangman’s House of Horrors, handing out free hot dogs and running a free alien team based survival game for kids inside the shipping containers. Art will be on display, craft vendors will be there, contests, prize drawings, and there will be tours of the most unique business suites you’ll ever see.